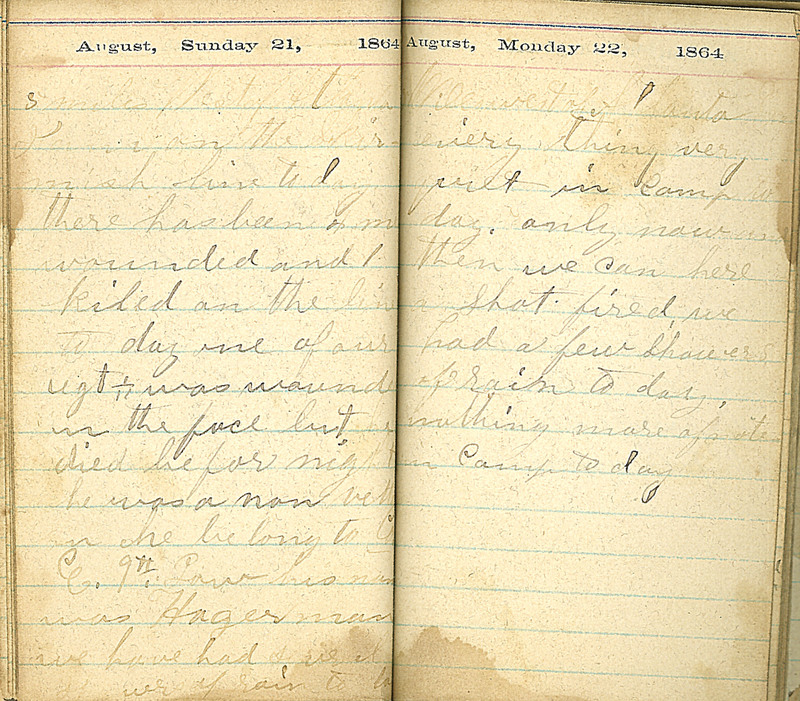 August, Sunday 21, 1864 5 miles West of Atlanta. I was on the Skirmish line to day. there has been 4 men wounded and 1 kiled on the line to day one of our rgt. was wounded in the face but he died before night. he was a non [vetteran?] he belong to Co E. 9th Iow. his name was Hagerman. we have had Several Showers of rain to day August, Monday 22, 1864 Miles west of Atlanta. every thing very quiet in Camp to day. only now and then we can here a Shot fired. we had a few Showers of rain to day. nothing more of note in Camp to day.